I grew up on Long Island in New York, so I have had my share of dreary winter months. Moving to the Gulf coast of Florida seemed to be the answer to my utter aversion to cold weather. I still remember my first Florida winter twenty years ago. I enjoyed swimming in the Gulf through most of that December. Then, right before the holidays, the temperatures dipped down to nearly the freezing point. Even our sunny Florida weather has its limitations. IBM Active Reports is an excellent solution for delivering off line reports to end users on the go. However, it too has its limitations. Following are issues that end users have run up against while using Active Reports. Reason: Active Reports renders the data decks at runtime, encapsulates them into an MHT file, and then sends that file out. Suggestions: use Active Reports only for a small amount of data. The queries assigned to the data deck should contain only the required data items. Apply query filters to return only values of interest from the data items in the data deck. Reason: Active Reports can be run interactively from within Cognos Connection, but performance is very slow, as the report is run to produce the MHT file and then the MHT file is opened in the web browser. Suggestion: For Interactive Dashboards, use Business Insight Advanced instead of Active Reports. Reason: A dialog box opens every time a report is run from Cognos Connection giving the option to open or save the report. Note, some users find this box annoying. Users choosing open instead of save have reported the problem of the report never appearing. Suggestions: Choose save from the dialog box and then open the saved output in Cognos Connection. Instead of running Active Reports from Cognos Connection to create the effect of an Interactive Dashboard, use Business Insight Advanced. IBM addressed issues with running Active Reports in Cognos Connection with version 10.2. Reason: Active Reports can only export to MHT, which means it is an archive with design & layout information and the data itself saved into one file. Suggestion: Active Reports are not designed to be exported into Excel. Instead, use Event Studio to attach the Excel output from the original, unconverted report in the same email as the Active Report. to be downloaded. Every child report would have to also be run for all data and then downloaded. Reason: Saving an active report in a browser creates a new MHT file. It is a different file from the original MHT file so reopening will open a different file. Suggestion: When receiving a report in email, first save the report onto your computer and then open the saved MHT file. Suggestions: Check Internet option security settings. Click Trusted sites and then click Sites. In the Add this website to the zone box, type the IBM Cognos BI server's domain. Click Custom level. In the Scripting section, disable XSS filter. Check what the computer’s local system/browser settings are set to do for MHT files. Contact Sales@LodestarSolutions.com for more information. We hope you found this blog useful! 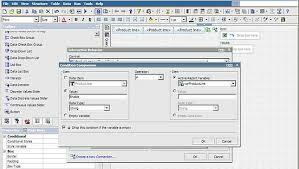 To learn what is new in Cognos 11 including active reports check out this blog by clicking here. Nice read. Thanks for sharing the info.